In a new window choose ‘Connection’. 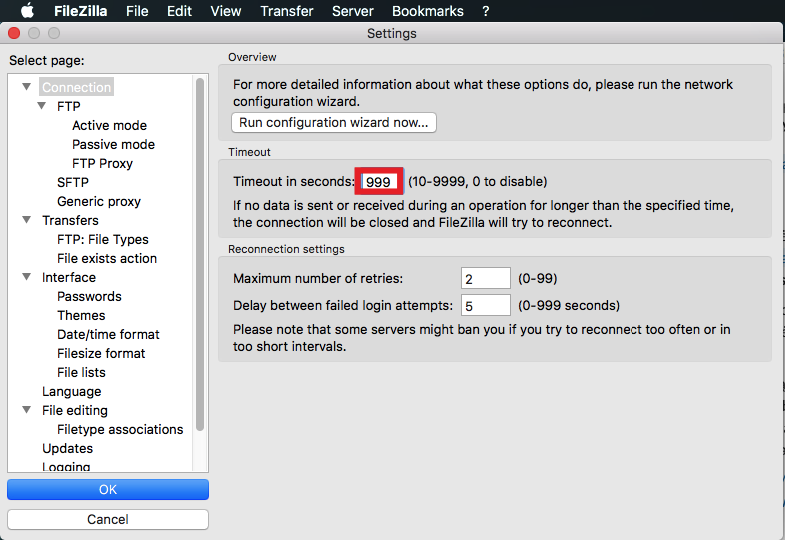 You can see the field ‘Timeout in seconds’, which extends a duration where FileZilla will try to reconnect if there is any issues with connection. Make sure to enter some bigger number, such as '999'. Then click on ‘OK’ button at the bottom. NOTE: You can find your FTP details over here. Also, to find step by step guide on how to set up FileZilla click here.